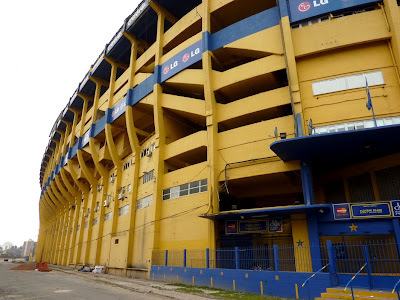 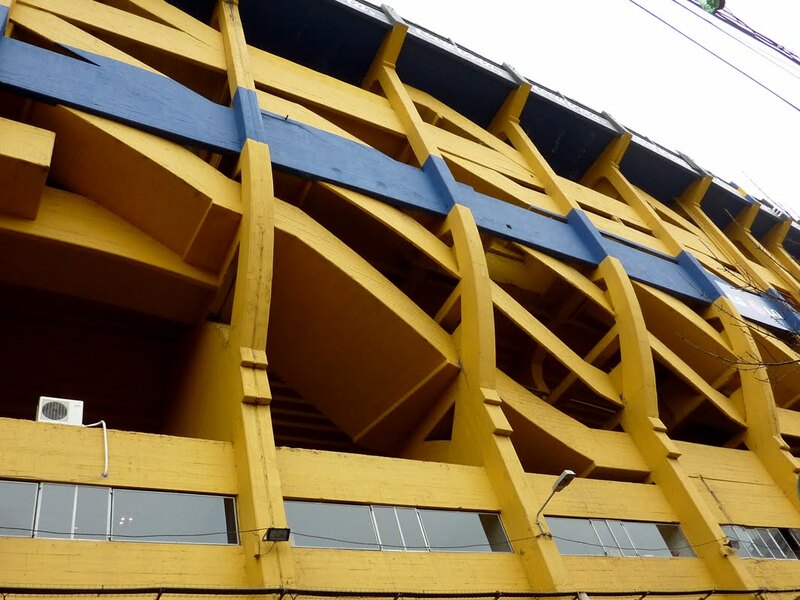 heading away from the main drag of Caminito we came across Boca Stadium, one of the most successful clubs in Argentina. 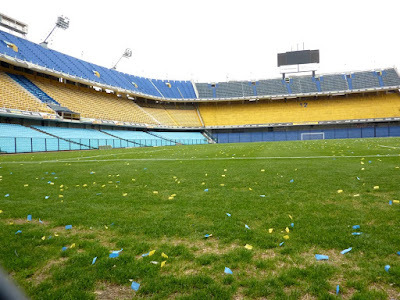 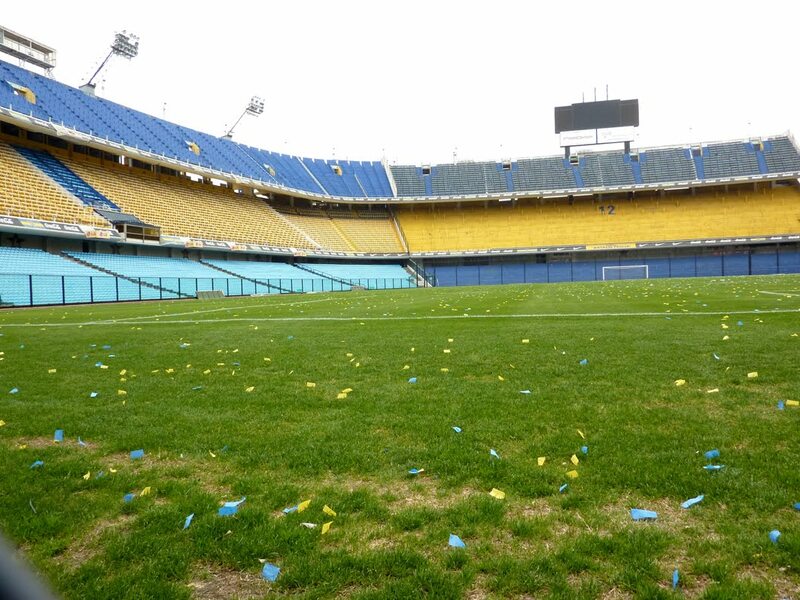 Maradona started his career here, playing with Boca Juniors. 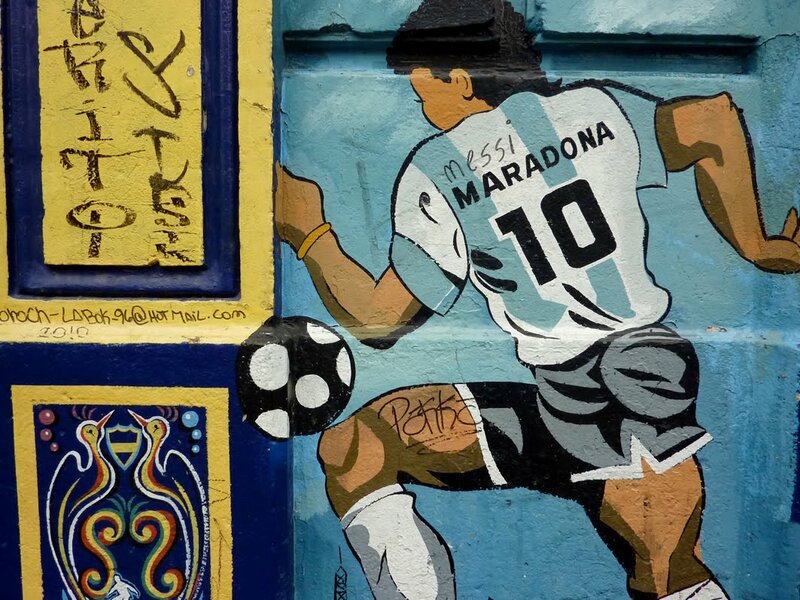 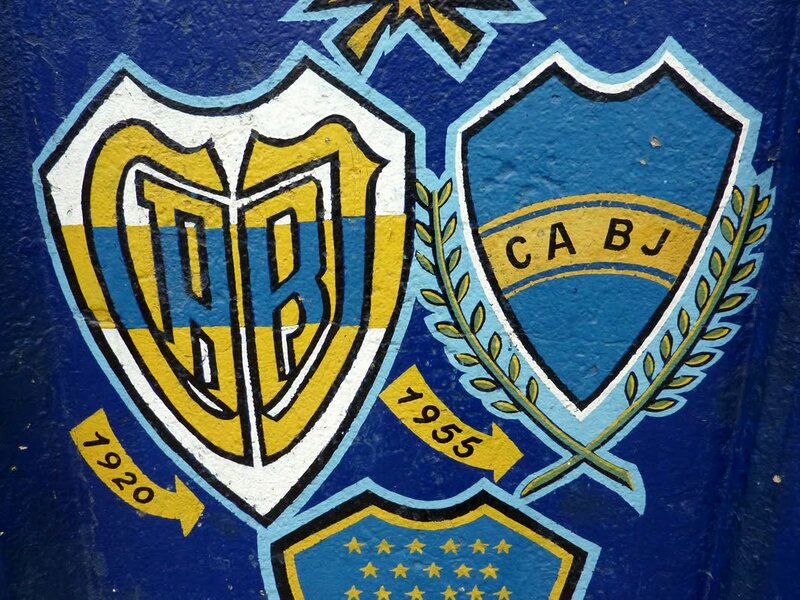 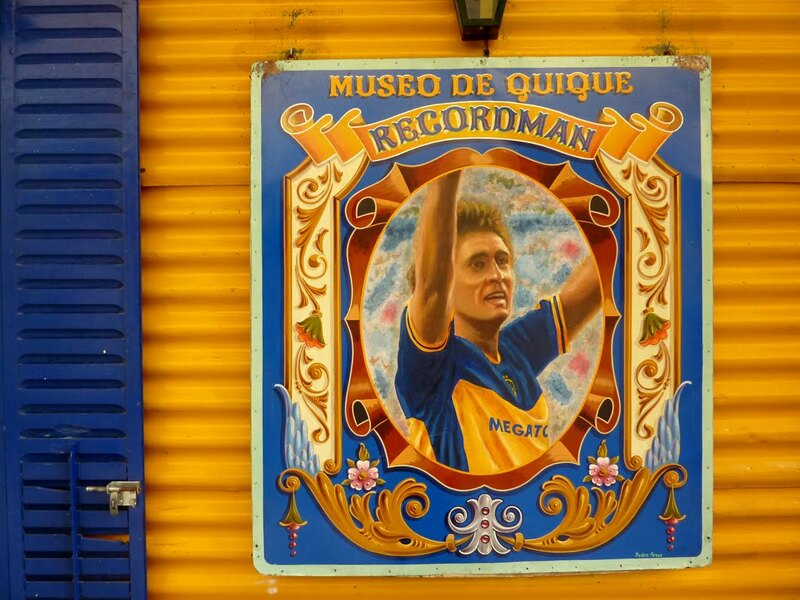 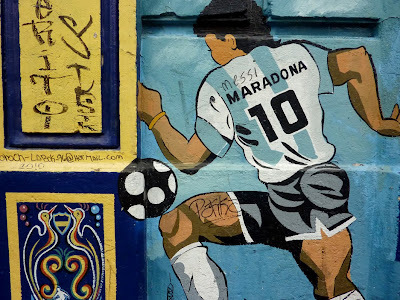 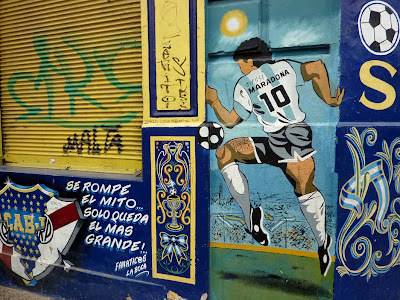 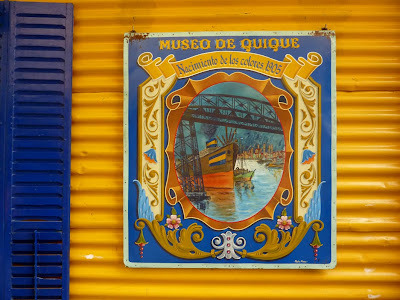 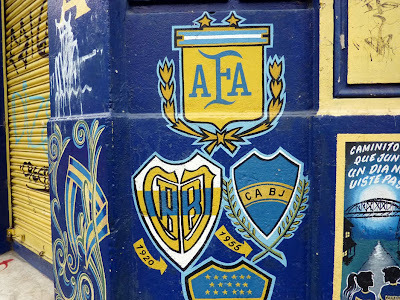 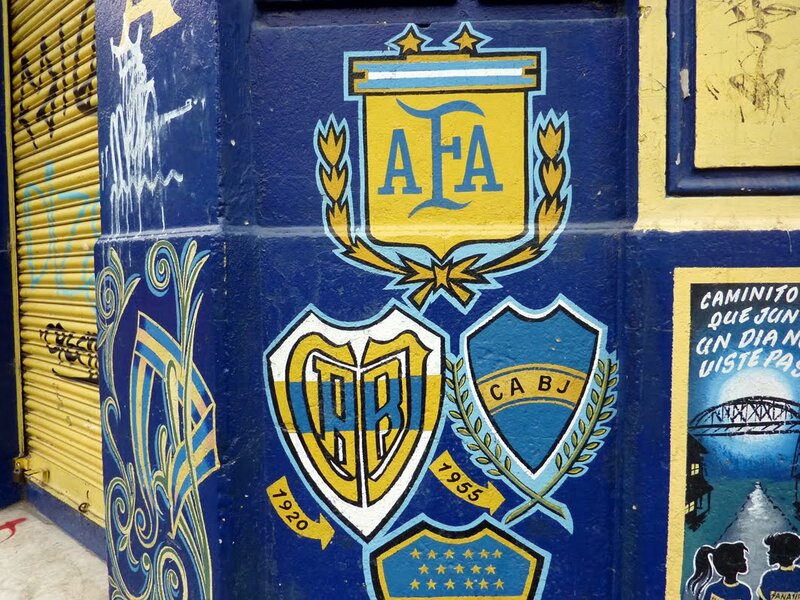 Buildings close by all decorated in artwork devoted to football, Boca, and the famous players. 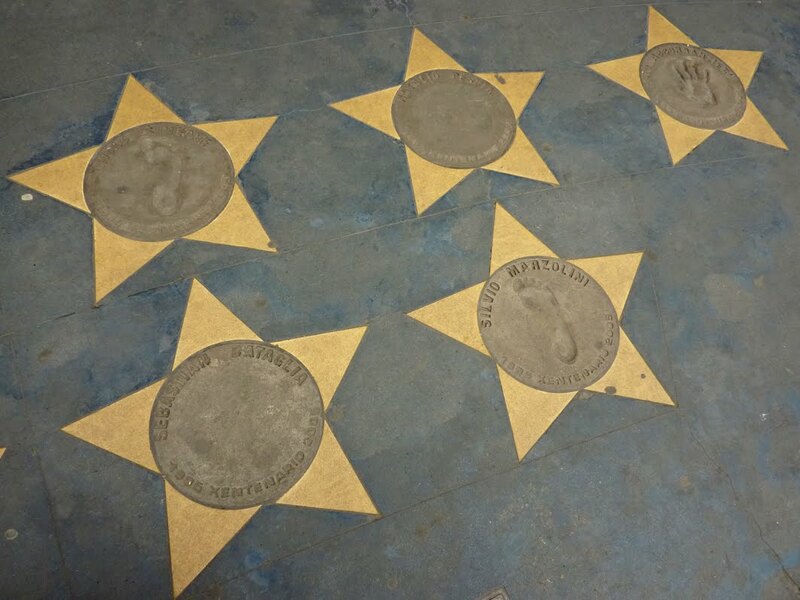 The stadium itself above, and the walk of fame below. 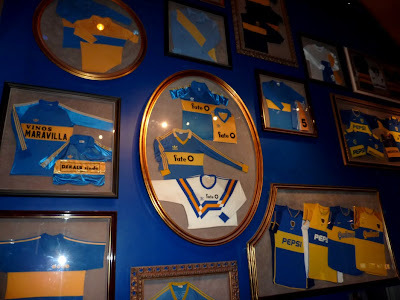 Inside they have a museum, but what we came for was to see the stadium. I know my Mr E was very happy to have been visiting here. 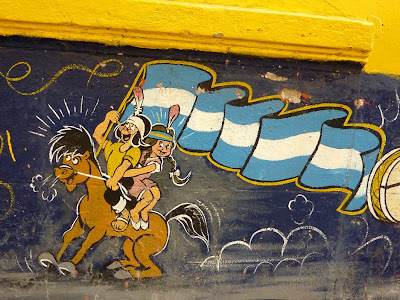 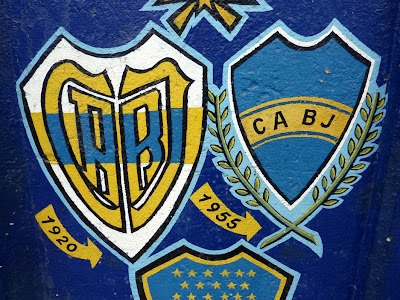 If you're a football nut, this is one not-to-miss Buenos Aires stop.